I’m on a bit of a HTPC case-mod kick this week. After spying the Nintendo NES HTPC case yesterday, I stumbled across yet another interesting HTPC case mod. This one is nothing short of eccentric and something I would never have the patience (or will) to build. 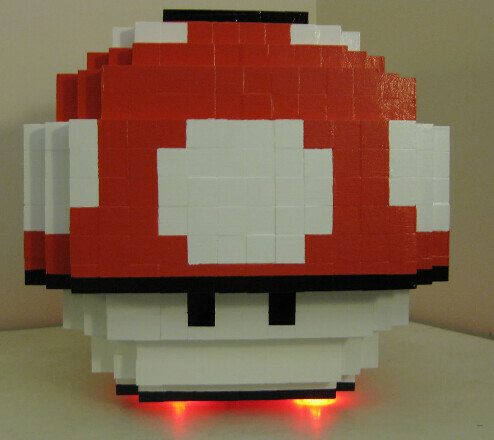 The builder calls it an 8-bit Super Mushroom HTPC Case Mod. The build took about 50 hours and 1,500 wooden cubes to make. 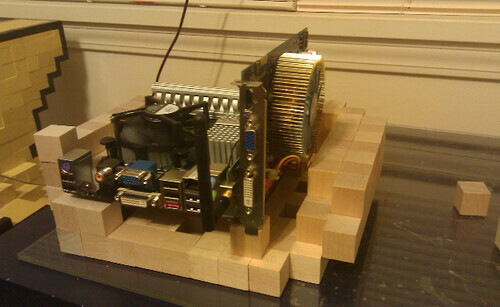 Below is a picture of the HTPC during the build. Pretty cool if not eccentric! And he even made a time-lapse video of the entire build process.